Break out the hammer and nails, the paint brushes and gardening tools — it’s National Curb Appeal Month! August is a great time to step back and focus on your home’s curb appeal. Does your front door need to be painted? Your bushes trimmed up? Your shutters replaced? Now is the time to evaluate your home exterior, make plans for improvements and get started! The best place to begin is from the “top down” on your home. 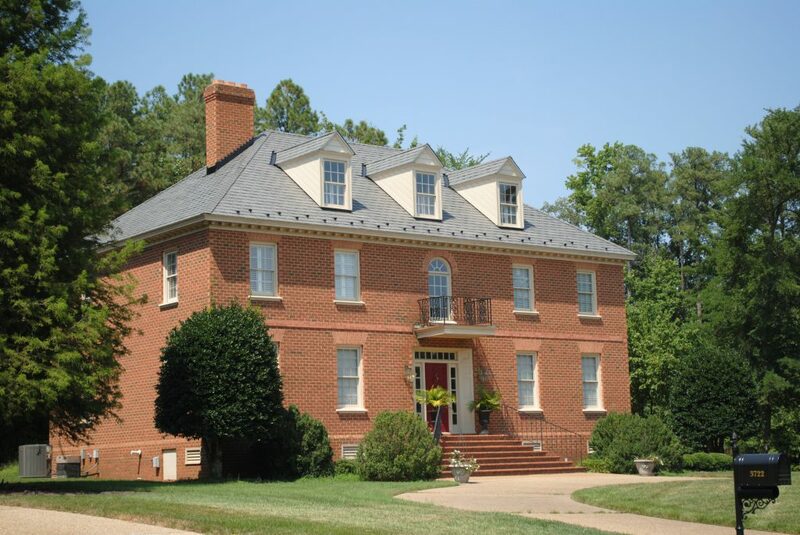 Your roof is a very eye-catching aspect of your house, so make sure it’s in good shape. Hiring a professional roofer every few years to evaluate the roof and make sure it’s still functioning in all areas (and that there are no missing or broken shingles anywhere) is always a smart idea. If you and your roofer determine it’s time to replace your roof, think about how your roof adds to the curb appeal of your home. You may wish to get rid of the boring-looking asphalt shingles or the curled-up cedar shakes in order to update your exterior with low-maintenance, long-lasting synthetic roofing tiles. 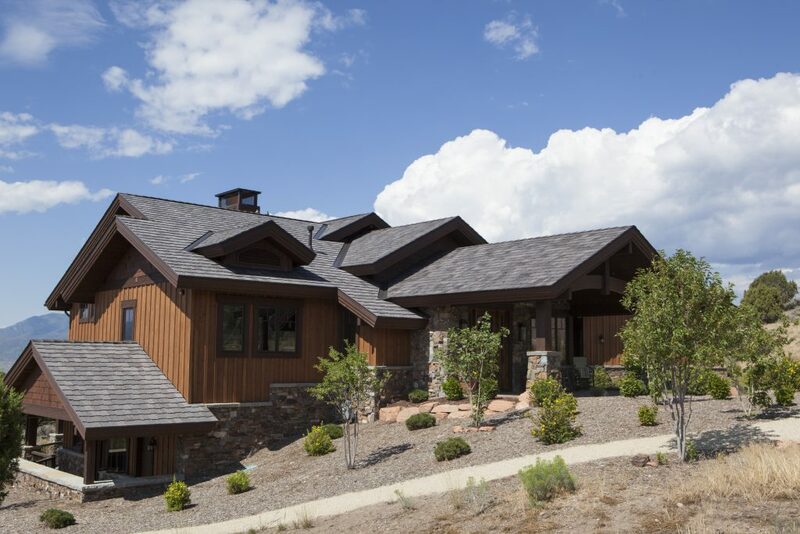 Made of polymers that resist impact, fire, high winds and severe weather, simulated slate and shake products from DaVinci Roofscapes add both curb appeal and resale value to your home. There are 50 colors to choose from plus an almost unlimited selection of color blends. 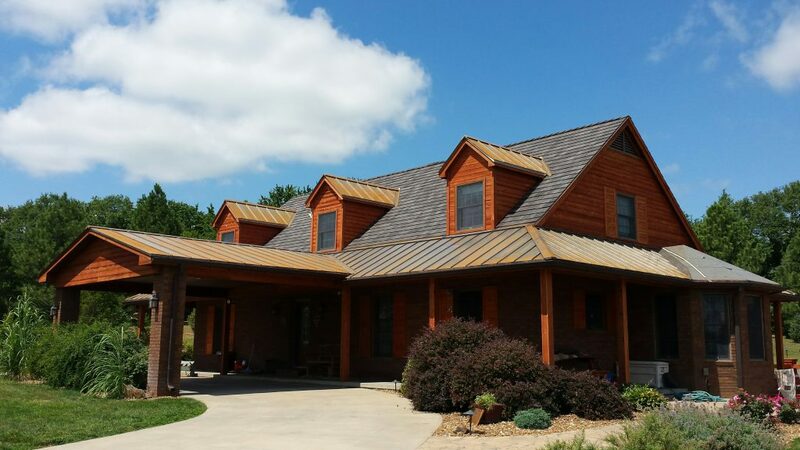 Or, if you’re feeling creative, you can have a custom color roof made just for you! When you’re ready to enhance your curb appeal with a new roof, start by taking some tips from national color expert Kate Smith. According to Smith, the ability to add curb appeal from the top down allows homeowners to truly personalize their houses. She provides the following tips to help get you focused on adding color to your home exterior during National Curb Appeal Month. Tip #1 – Consider the fixed features of a home before deciding on what colors to add. These elements include the colors of foundation and chimney materials, like brick, stone and concrete, along with other fixed elements like porches, steps, walkways and retaining walls. Tip #2 – Think about regional colors that might work well on your home. It’s fine to have a home that stands out in the neighborhood, but it needs to link in with the overall geography where you live. Tip #3 – Look at your environment. The natural setting and landscaping around your home can help you select colors that complement the existing setting. Tip #4 – Let the style of your home help you determine how bold or subdued you should go with color. For example, bright colors are almost expected on a Victorian home, while more refined colors like off-white, dark green and rich chocolate would complement a ranch-style home. Tip #5 – Consider the historic element of the home and let that help lead you to colors that reflect the house’s history. Also make sure to check with any homeowner associations you might belong to for possible restrictions on color usage. Need more color advice? Smith has authored two free e-books to help you choose the right colors for your home exterior. To download the guides, just visit here!